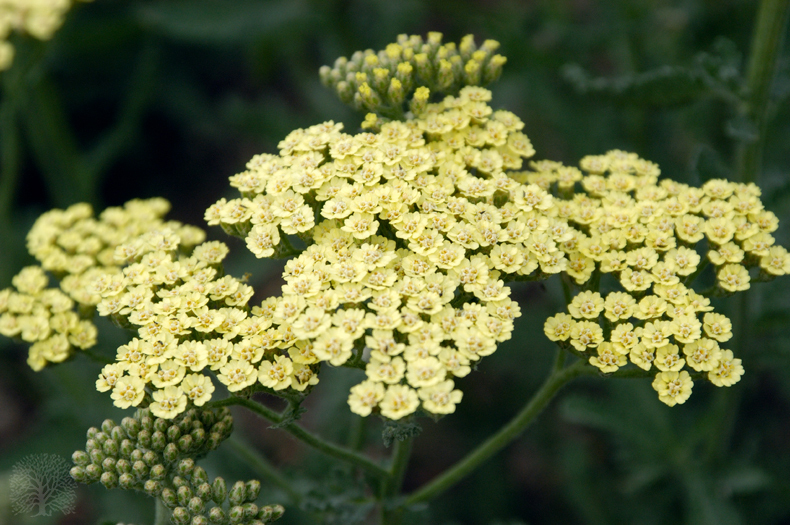 Twenty years ago I used to grow Achillea clypeolata. A beautiful pant, it has delicate silvery foliage and grey buds. Unfortunately the whole effect was ruined when the flowers appeared – a sharp and bitter acid yellow. Plant breeder Alan Bloom, always keen-eyed, spotted the plant’s potential and used it to produce a hybrid with soft, faded-cream flowers. The silver foliage is now perfectly matched with the muted colours of the flowers. Bloom named it A. ‘Anthea’ after his daughter. The stems are thick and the plant compact, so it doesn’t flop about like other Achilleas. It needs well-drained soil in full sun and will grow to 60cm tall.